This month, we are taking a look at Latin@s in science fiction and fantasy. 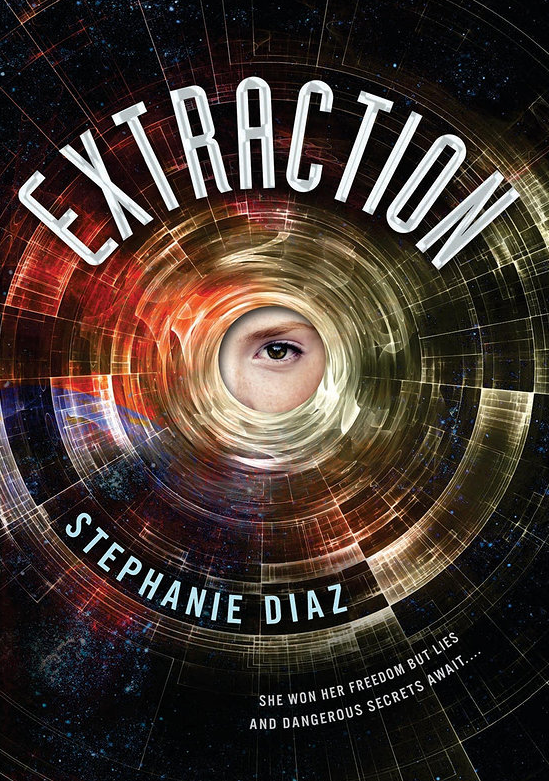 Today, we have a guest post from Stephanie Diaz, debut author of Extraction, which releases July 22. Thanks so much to Latin@s in Kid Lit for having me here on the blog today! I wanted to share a few of my thoughts on diversity in science fiction, stemming from my experiences as a half-Latina writer of YA. My father’s side of my family is Latino, primarily of Mexican and Spanish descent. My mother’s ancestors were white Europeans, mostly French and German. I grew up in an English-speaking household, in a Southern California town a state away from my dad’s side of the family. As such, I’ve never been hugely in touch with the Latina side of my roots, except during Christmas vacation, and for a long time it had no great influence on my writing. My first book, which I wrote in middle school, was a story about a family in the Civil War era. My second book was a fantasy with demons and magical swords. The book I wrote in college and sold to a publisher, Extraction, was my first try at writing science fiction. It wasn’t until I was well into revising the novel that conversations about diversity in fiction grew more widespread and caught my attention. For the first time, I took a long, hard look at my characters and realized I’d made some of the supporting characters different races, but the main characters of the cast were pretty much all white. And my book was supposed to be set on a planet in a completely different galaxy! Here I’d had so much potential to diversify my made-up world, and I’d wasted it. I plan on doing a better job in the future. I’m still working on the second and third books in the Extraction trilogy, making sure I pay attention and don’t automatically whitewash every new character I introduce to the cast. I’m also working on an unrelated YA sci-fi with a multi-racial/multi-species cast. The beauty of stories set in the future or in distant worlds is that there are so many ways for a writer to imagine how cultures will grow and influence one another over time. Science fiction allows me to imagine all sorts of possibilities that don’t exist in real life, but real life has to be an influence to make the story believable. My goal is to tell stories that show life the way it is and the way it could evolve—and life is diverse. In physical characteristics, but also in a wealth of traditions. I’m learning that understanding the differences in all the world’s cultures is key to creating new ones, whether they be human or a made-up species. My hope is that my own books and other books in this genre will grow more and more diverse in the coming years, drawing on little-known cultures to expand the worldview of all readers. I hope to be able to pay homage to my Latina heritage, as well as the other cultures in my blood, in future novels I write. But more than that, I hope to tell many stories about different kinds of people, not just the people I know best. After all, how can I grow as a writer—or a person—if I never venture out of my comfort zone? 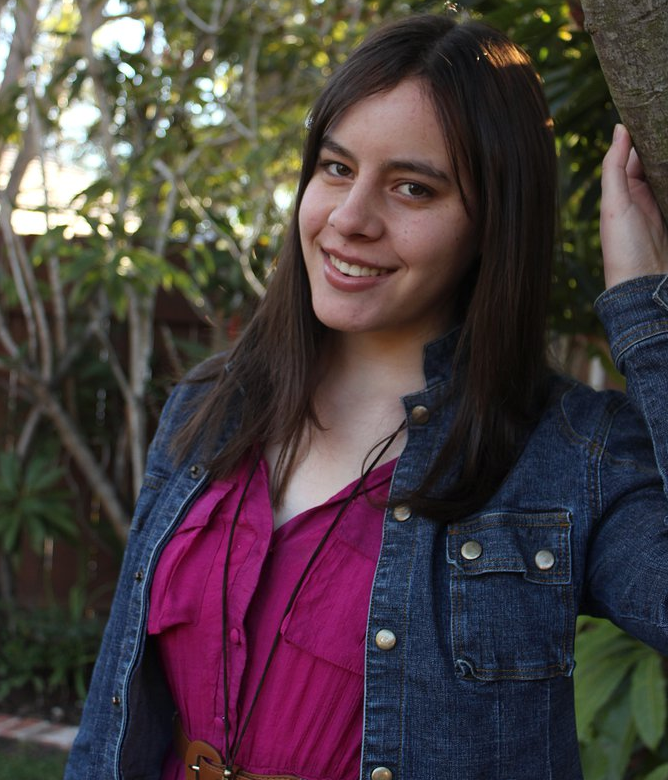 Twenty-one-year-old Stephanie Diaz wrote her debut novel, Extraction, when she should’ve been making short films and listening to class lectures at San Diego State University. When she isn’t lost in books, she can be found singing, marveling at the night sky, or fan-girling over TV shows. Visit her online at www.stephaniediazbooks.com. Clementine has spent her whole life preparing for her 16th birthday when she’ll be tested for Extraction, in the hopes of being sent from Kiel’s toxic Surface to the much safer Core, where people live without fear or starvation. When she proves promising enough to be “extracted,” she must leave without Logan, the boy she loves. Torn apart from her only sense of family, Clem promises to come back and save him from brutal Surface life. What she finds initially at the Core is a utopia compared to the Surface—it’s free of hard labor, gun-wielding officials, and the moon’s lethal acid—but life is anything but safe, and Clementine learns that the planet’s leaders are planning to exterminate Surface dwellers—and that means Logan, too. Trapped by the steel walls of the underground and the lies that keep her safe, Clementine must find a way to escape and rescue Logan and the rest of the planet. But the planet’s leaders don’t want her running—they want her subdued.